Beauty | LUSH Opens in Charlotte, NC! 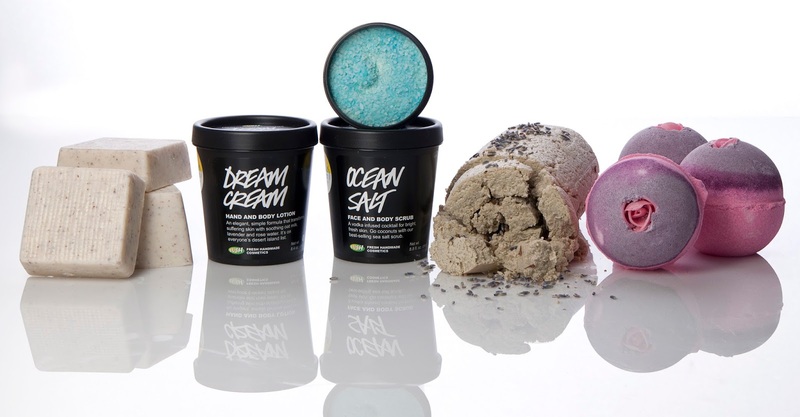 The fresh, ethical retailer has more than 900 stores worldwide and is a veritable beauty delicatessen that features gorgeously fragranced soap, face masks fresh with raw ingredients that are kept in a refrigerator, a vast skin care range, top-quality hair products and of course the infamous Bath Bombs, invented by LUSH. Nothing is tested on animals and both packaging and preservatives are kept to a minimum. LUSH has over 190 stores in North America with others popping up in locations like Charleston, SC and Las Vegas, NV in the months ahead. In true LUSH fashion, a grand opening party will take place in the Charlotte in the weeks ahead! Have you heard of LUSH? What are some products you would like to try? I love Lush. We have one in Raleigh at the Crabtree Valley Mall. The scent of the store is a little strong before you enter, but once you're in you become a kid at the candy store. You can try everything! There is a Lush in the mall close to me and you know what, I never been in there. Shame on me! I'm going to stop there and check out their products soon. Don't worry! There is one in the city that I just moved from and I had never been inside, but I was always curious. Now that I have tried the products, I love it. Plus, for them to be all natural, I'm surprised at how affordable they are.